Derby Marketing LLC has been redefining standards in the service industry. The company operates a wide range of services and facilities that range from outsourcing of staff to debt collection and recruitment. The firm aims at making your everyday life easier through this extensive selection of services. A few years ago, the company noticed that there was a great demand in Dubai for quality housekeeping services which is how The Maid Company was launched. A premier service for you to find maids in Dubai with a name you can trust. We all want to live in beautiful, clean homes and this should not have to be a challenge! 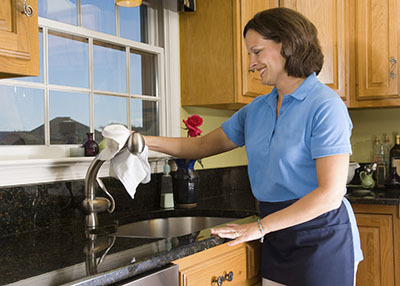 After a long day at the office, the last thing you want to do is clean your home. With our easy to use and personalised service, you never have to worry about this again. We offer transportation, flexible timings and quick, professional service. We’ve worked with over 5,000 clients are this number is only increasing! Visit our website or call us to learn more about the services we can offer you and start living better, today.